Throughout history, Paris has seen a lot of blood shed spelled on its streets, including some terrorists attacks in the recent years. Yet, the attacks of on November 13, 2015, hit the Parisians particularly hard. Despite this and following the motto of the city "Fluctuat nec mergitur" which in Latin means "Tossed but not Sunk," Parisians refuse to live in fear and want to keep up with their lives. They pay tribute to the victims, but the Bataclan and the restaurants targeted are scheduled to reopen and Parisians are back in the streets, in the terraces of cafe and at concerts venues. A military walks on the stairs of the Trocadero on December 26, 2015, Paris France. 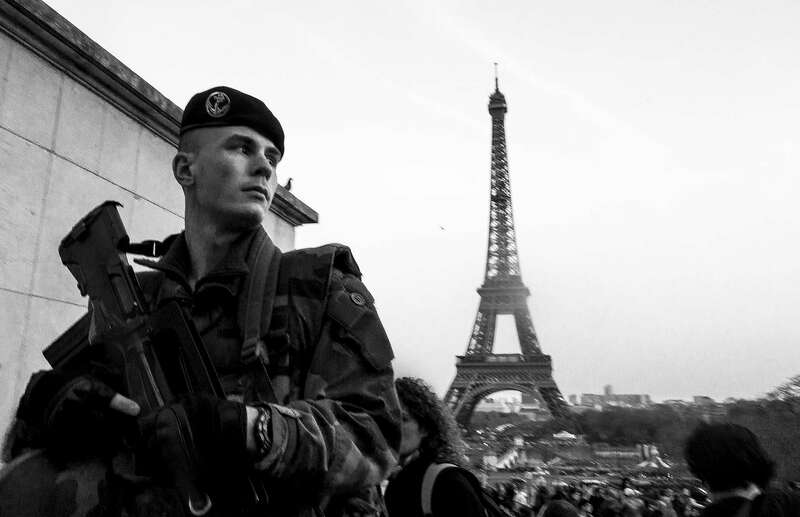 3000 of additional militaries were deployed in Paris after the terrorist attacks of November 13.